Charlynn Hydraulic Motor 109-1102 Charlynn very Low speed, high torque hydraulic motors. Smooth running. Long life under extreme operating conditions. This Eaton Charlynn hydraulic motor is suitable for a wide variety of hydraulic fluid. Features: * Cubic Inch Displacement - 9.9 *Max RPM -582 *Max Torque - 4290 in/lbs * Max psi - 3000 * Dual Rotation *Port Size -#12 SAE Oring Staggered Ports. 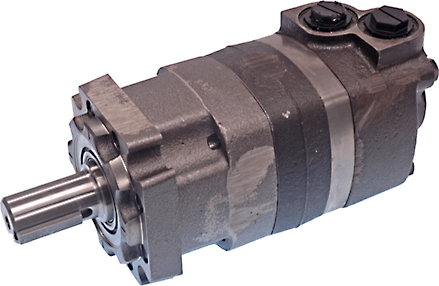 * 1 1/4 keyed Shaft * Mounting - 4 Bolt SAE B Mount Hydraulic Outlet also offers repair services for your used Eaton Charlynn hydraulic motor as well as many others..